Acidity refers to a set of symptoms caused by an imbalance of the acid secretion. Normally, the stomach gastric glands secrete acid needed during digestion. Primarily, the acid breaks down food in the digestion process. An excess production of this acid leads to an acidic condition in the human body. 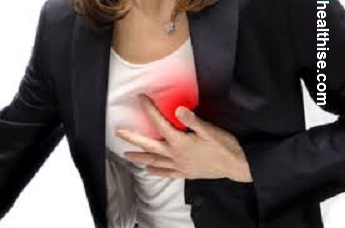 The symptoms related to stomach acidity include heartburn, ulcer formation and dyspepsia. OTC medications or natural home remedies through herbs can effectively treat acidity. Human blood contains 20 % acid and 80 % alkali. Acids helps to digest food but when acid percentage increases it causes Acidity or heartburn. Symptoms of Acidity are burning pain, sourness in taste, vomiting sensation, coating on the tounge etc. 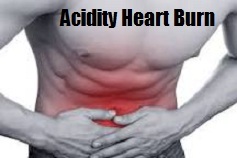 If not treated, Acidity may cause problems like ulcer and other stomach related problems. People with hyper Acidity may have regular fever and dizziness. Causes of Acidity are eating heavy foods, spicy foods, smoking, alcohol consumption, improper sleep, mental tension, eating without proper chewing, pregnancy, indigestion, menstrual problems etc. Some people have a very acidic body and have weak digestive system. So it is better to prevent Acidity by following these instructions. 1. Avoid heavy foods like Kidney beans (Rajma), Black gram (Urad), Milk products, artificial colored sweets, outside junk foods and too much spicy and masala, fried items etc. 2. Eat slowly by chewing properly and take light foods in the night as digestion will be weak in night time. 3. Don't smoke or take alcohol and avoid coffee, tea especially in the empty stomach. 4. Go for walking after meals and don't sleep just after having food and keep some hours of gap between meals and sleep. 5. Don't keep the stomach empty for long time, eat something in between, at least a raisin can do. 6. Sleep properly avoiding all mental tensions, and wear light comfortable cloths while sleeping..
7. Drink lots of water especially in the morning. 8. Drink 1-2 litres of Luke warm water with a pinch of Salt at a time in the morning empty stomach and try to vomit it as much as possible. This is called Kunjal in Yoga. This can be done twice in a week. 9. Avoid raw salads and unripe fruits which are not advisable in Acidity. 10. Instead of eating 2 or 3 heavy meals distribute the same to 5 to 6 light meals a day. For Acidity taking allopathic medicines wont make you to cut the problem from the root instead it will create some other problems so better use these home remedies for Acidity relief. 1. When you have more Acidity, drink 1-2 litres of Luke warm water with a pinch of Salt at a time in the morning empty stomach and try to vomit as much as possible. At the end you feel sourness in the mouth which means you are throwing away the acid. Or you can just drink a glass of water just before brushing and try to take it out just after brushing . 2. Putting a wet cloth (Approximately 8" x 4 ") on the stomach covering naval for a couple of hours gives relief from Acidity. 3. Drinking half glass of Cold milk gives a cooling effect and gives instant relief from Acidity. 4. Mint (Pudina) juice is also a good medicine for Acidity. 5. Tender coconut water taken in empty stomach gives cooling effect and relives Acidity. Daily use of Tender coconut water (2-3) for few months can give permanent relief from Acidity and other stomach related problems. 6. Eating a Plain Ice-cream (Not a flavored or coloured) like vanilla gives instant relief from Acidity. 7. Drinking Falsa (Grewiab subinaequalis) juice or eating Falsa is a best remedy to overcome Acidity and improve digestion. 8. Eating one Clove (Laung) after every meals helps to get relief from Acidity. 9. Drinking Ash gourd (Petha) juice in empty stomach for a month gives relief from hyper Acidity and cures ulcer. 10. Banana makes a good coating on the layers inside the stomach and is a best remedy for curing Acidity. 11. Indian gooseberry (Amla) taken with equal amount of Sugar candy (Mishri) is also a good remedy for Acidity. 12. Potato contains potassium salt which reduces acid. Eating Boiled Potato helps to get rid of Acidity. 13. Eating Cucumber, Watermelon, Banana helps to get relief from Acidity. 14. Sucking a piece of Jaggery (Gur) or Raisin (Kishmish ) gives instant relief from Acidity. 15. Taking some Basil leaves (Tulsi) in the morning helps to overcome Acidity. 16. Lemon juice with hot water taken an hour before meals helps to overcome Acidity. Lemon contains potassium which reduces acid and helps for easy digestion. 17. Having a white Onion with Curd at least for a week cures Acidity. 18. Cumin seeds (Jeera), Coriander (Dhania) , Sugar candy (Mishri) in equal quantities powdered and taken 2 spoons twice a day helps to cure Acidity. 19. Half spoon of Black pepper (Kali mirch) powder taken with Rock salt twice a day helps to get relief from Acidity. 20. Sitting 5 mins in Vajrasan after every meals helps to get relief from Acidity. 21. Eating a Harad (Haritaki, Terminalia chebula) regularly helps to overcome Acidity. 22. One spoon of grinded Carrom (Ajwain) seeds mixed with a spoon of Lemon juice taken with a glass of water gives relief from Acidity. 23. Drinking Carrot juice or eating Raw carrot regularly helps to overcome Acidity. 24. Drinking Bael juice regularly gives cooling effect and reduces Acidity. 25. Eating Banana with a pinch of Cardamom (Elaichi) powder gives relief from Acidity. Can Body Ph Balance Be An Early Detection For Cancer?